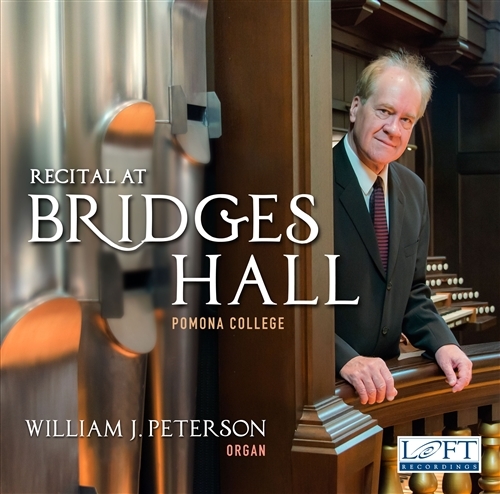 The first recording of the Fisk organ at Pomona College is presented by William Peterson, Pomona College Organist, Emeritus. Peterson's program includes a number of works with Pomona College connections, including pieces by John Cage, Karl Kohn and Tom Flaherty. 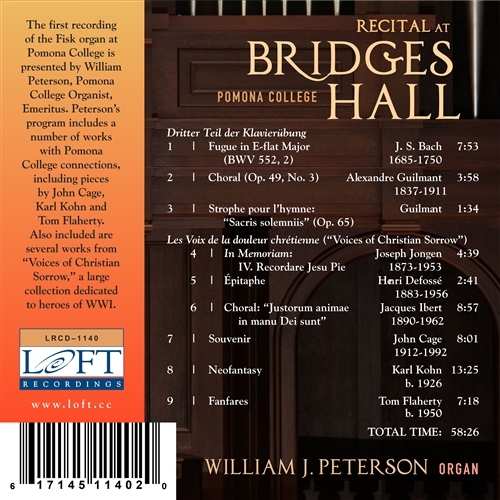 Also included are several works from "Voices of Christian Sorrow", a large collection dedicated to heroes of WWI. Copyright © 2013 Loft Recordings, LLC. All Rights Reserved.